Taste for Life Cookery Classes. Find out more about 6-weekly courses and eligibility by ringing 01625 383943. Courses are available for adults and children. NEWS - extensive storage cupboards are now complete and available for our user groups. 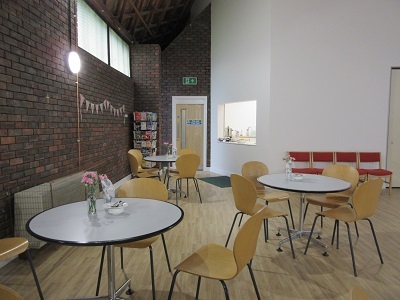 We have rooms to hire Mondays - Saturdays: the large community hall including a cafe area and with the use of the kitchen if required. Also an upstairs meeting room. Do you have an idea that would be great in this space? as well as gifts from private individuals. 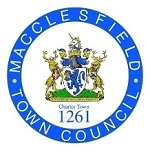 The church has been supported in this project by a community partnership including our local Cheshire East councillors, the FARUP community group, Peaks and Plains and other local Housing Associations, the 3rd Macclesfield Upton Priory Scout group, our local shops and friends in the community. Our architects, Jay Ashall Partnership, have created a design to provide for a stylish and welcoming new entrance. 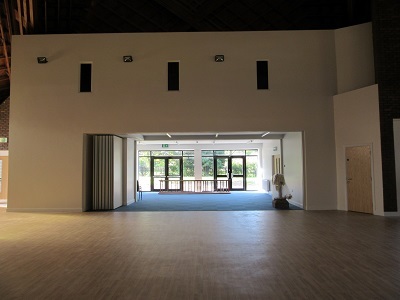 Through the entrance we find on the left a large open plan community hall open to the striking roof timbers. 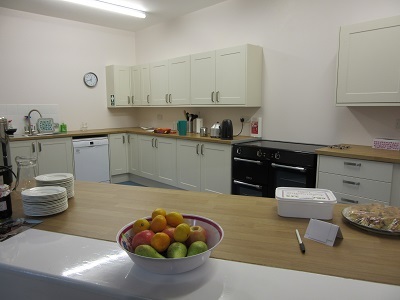 The spacious new kitchen is off the main hall towards the rear of the building. From the main hall there are moveable partitions which may be placed around the central altar space. From the entrance if we head the other way we will pass four new toilets and stairs to the church office and a meeting room. Past the stairs we find a new worship space which opens into the rear church garden. 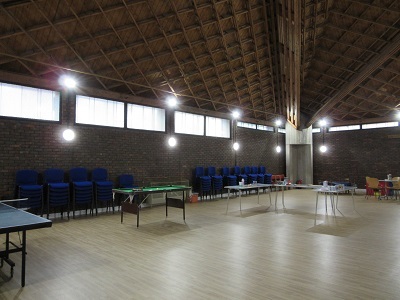 Our builders, JMC Building & Civil Contractors Ltd, have done a great job - thanks everyone! We still need new windows in the main hall. The old windows date back to the original building and are draughty and obscure. We are seeking funding for new windows. Looking from the main hall, past the screens, through the worship space, into the garden.